This week we head to London, where Sketchfab Master Tom Flynn will be showing us an Egyptian sculpture from the British Museum. Hello! My name’s Thomas Flynn and I work as a designer and 3D photo scanner at the British Museum in London and am also co-founder of Museum in a Box. I began making photo-scans of objects in the museum in the mornings before office hours, using Autodesk’s 123D Catch. At around the same time I found out about Sketchfab and these two tools seemed like a great combination so I began embedding some 3D scans in the museum’s website. These early 3D scans formed the beginnings of the British Museum’s official Sketchfab offering and the museum is now adding more models every month. I immediately got hooked by photo scanning and it’s now become a much bigger part of my work at the museum as well as in my freelance work, such as providing training for digital and curatorial staff on how to make photo scans and publish them on Sketchfab. The British Museum is a very big and very old organisation and it’s been great to see such an institution engage with and make use of new technologies. When I first began to scan objects I was supported and encouraged by fellow web-teamers Alex Peters and James Curwen. Since then Jennifer Wexler, Neil Wilkin and Dan Pett have been instrumental in educating and inspiring museum staff about the potential of 3D and organising access and permissions to scan objects (like this Pacific island statue or this porcelain ornament for example). 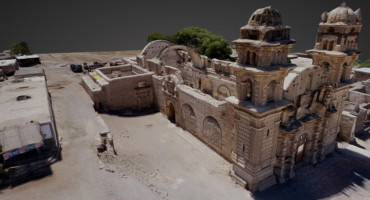 We – and many more research and curatorial staff – have been working hard to get more scans up on the Museum’s Sketchfab profile as well as into gallery spaces as part of digital installations and 3D printed handling objects. I use a very modest setup to create 3D scans – a Canon G7x compact camera, a small light tent. On the software side of things I use Agisoft PhotoScan, Blender 3D, MeshLab and more recently AutoDesk’s ReMake. I often photograph objects handheld if I am moving around them but use a tripod with the light tent and turntable. 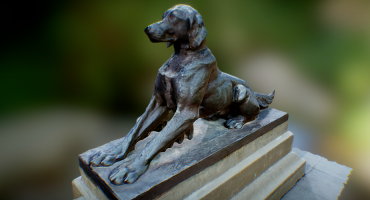 I recently started a forum thread for people to share their workflows, gear and experiments which could be useful for people new to photogrammetry. This scan of a carved head of Amenemhat III was one of the very first scans that I ever made – the real thing is very impressive and caught my eye while I was roving the Egyptian Gallery at the Museum early one morning before public opening times. The head is very enigmatic and tapped right into my (perhaps naive!) ideas of quintessential ancient Egyptian archaeology. Early in the morning gallery lights aren’t always switched on which makes photography quite difficult if you are shooting photos handheld, but big stone sculptures make pretty excellent subjects in general. This head was on a high pedestal in a nook at one end of the gallery and not being tall enough to photograph the top of the head, this scan is incomplete. This ancient Egyptian carving of Amenemhat III from the temple at Tell Basta was donated to the British Museum in 1889 by the Egyptian Exploration Fund (now the Egyptian Exploration Society). Amenemhat III was a pharaoh of the Twelfth Dynasty of Egypt, ruling from c.1860 BCE to c.1814 BCE. Currently the original is not on display at the British Museum as it is on loan to other institutions. The original scan is still up on my 123D Catch profile. This isn’t the first time this object has been cloned – there’s a plaster cast copy of this sculpture in the Ithaca College Plaster Cast Collection. Since being published for free download by the British Museum, this model has been viewed 54,000 times and downloaded almost 3,000 times. One of my favourite ways this model has been used is as a prompt for school students in the UK to learn about history and technology at the same time. Someone else from China practised a bit of ‘digital conservation’ and added a reconstructed nose to make a handy desk tidy! I wonder what other people have used it for? To see more of Tom’s models here on Sketchfab, check out his profile.